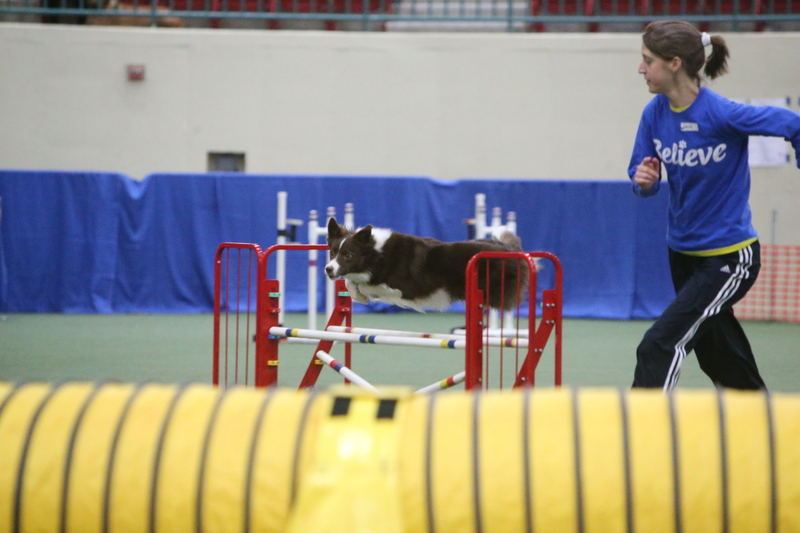 This weekend was Phenom’s first agility run at a trial. 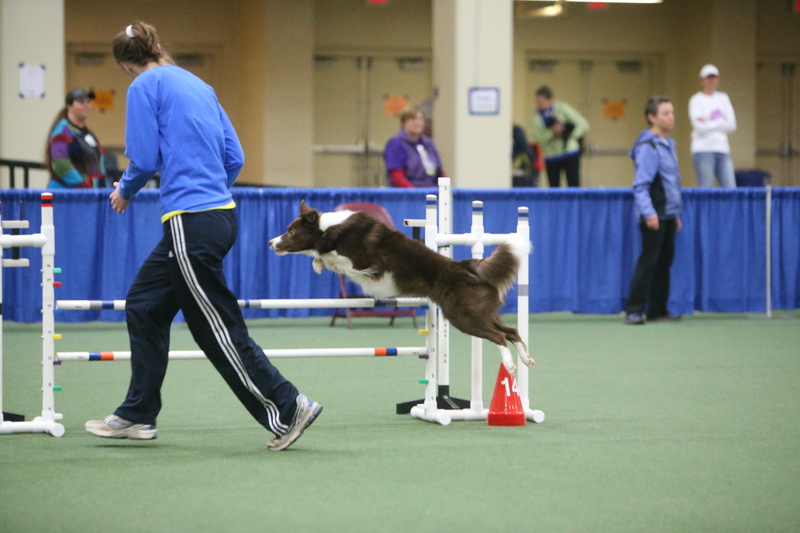 She ran Jumpers With Weaves Novice B at Concord Saturday and Sunday. We’re still working on our contacts, so just entered JWW. I was so so proud of her. She was great getting measured (19 3/4″). She wants to tackle and pounce and kiss everyone she meets. She tugged with me while we were waiting to go. She stayed at the startline. 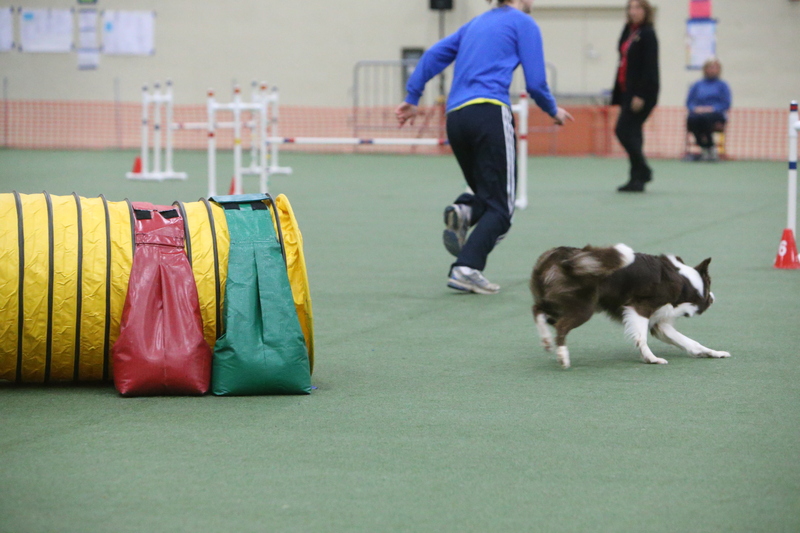 When we ran I could hear her feet digging into the artificial turf – way different than Ace. He barked the entire time. This was very quiet. I accidentally called her off a jump before the weaves and we had a few other bobbles, but it was so fun running with her. And she was having a great time. She was so excited at the end. Me too. I was so proud of her. And I think she was proud of herself too. We got a qualifying score and 3rd place. Yay ribbon photos!! 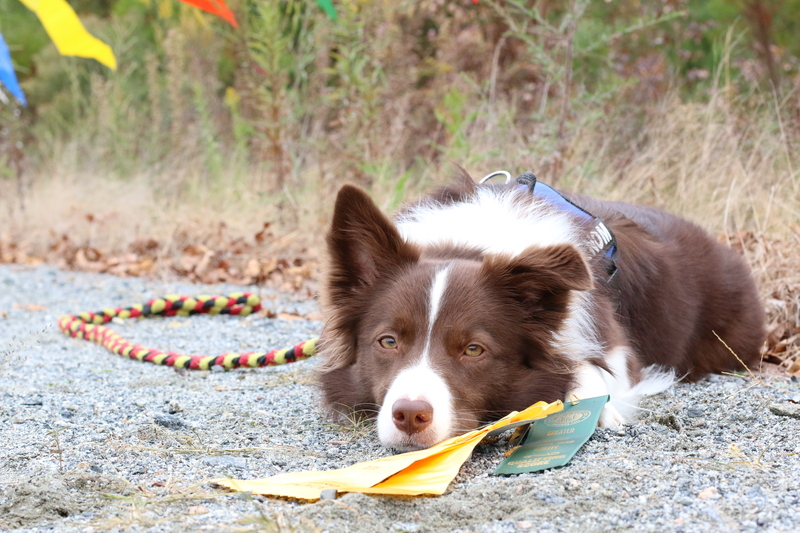 She did great on Sunday too. I was rushing a bit and got ahead of myself, so pulled her off some jumps and we didn’t qualify. But her weaves were awesome. I’m looking forward to us finding our rhythm even more on course. And she had a great time again – me too. It was also fun getting to see lots of friends. I’m already looking forward to our next trial. 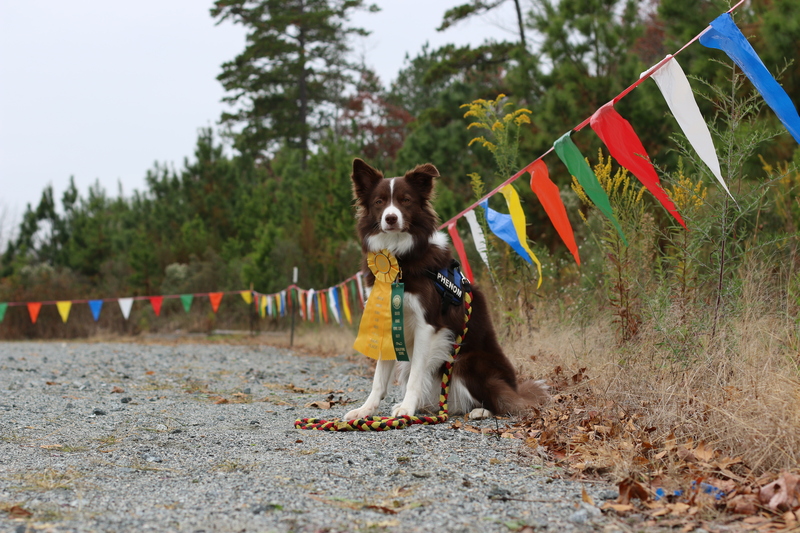 And Phenom wants more ribbon photos . . . . okay, maybe that’s just me. 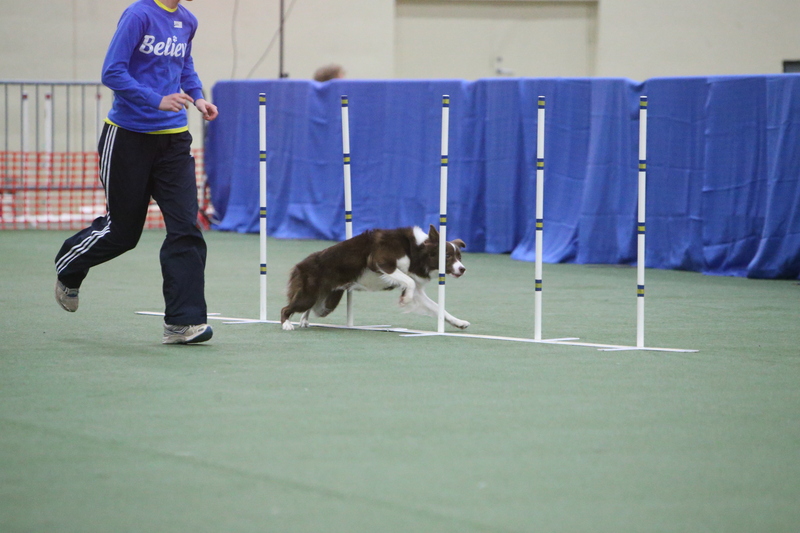 *Agility action photos by Phyllis Ensley Photographers. Ribbon photos by – me!